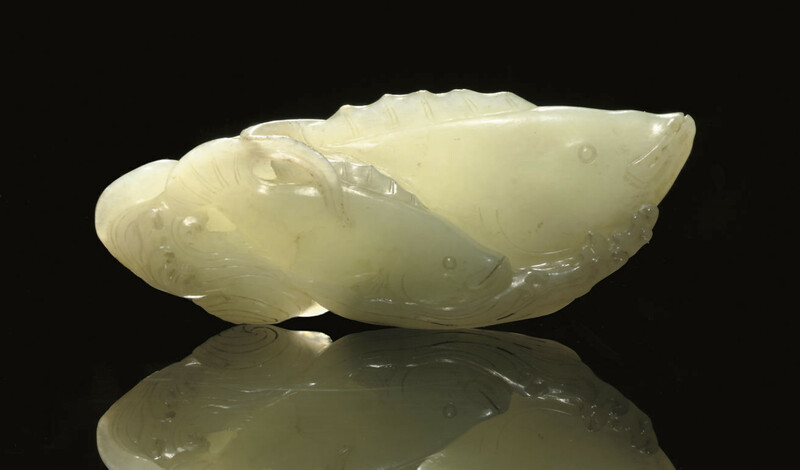 carved as two carp swimming above the swirling waves and past a blowing lotus blossom -- 4¾in. (12cm.) wide.